26 prong battery operated electric comb for making straight hair wavy. Made by Vytalife in Melbourne Australia in the early 1930s. 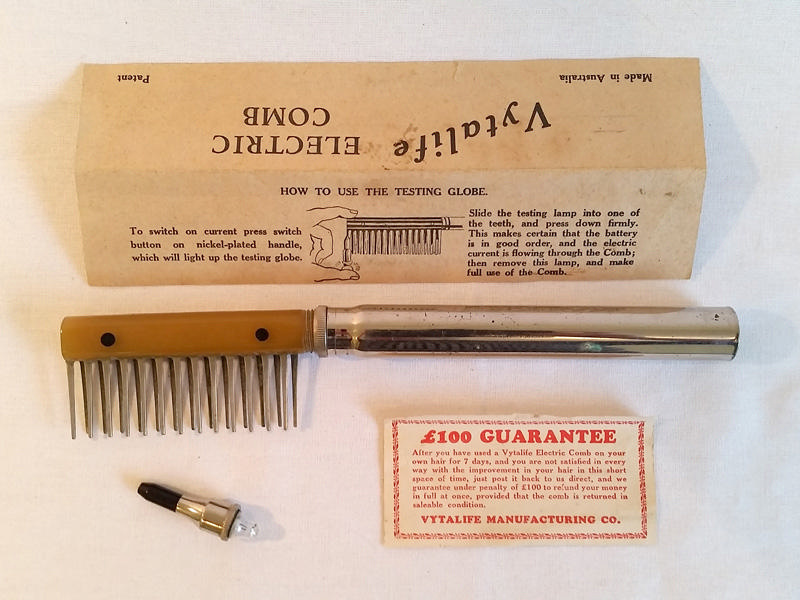 The comb has a nickle-plated handle and metal prongs attached to a type of plastic base. A testing globe is included along with instructions for using the globe and the comb. All of these are inside the original box. 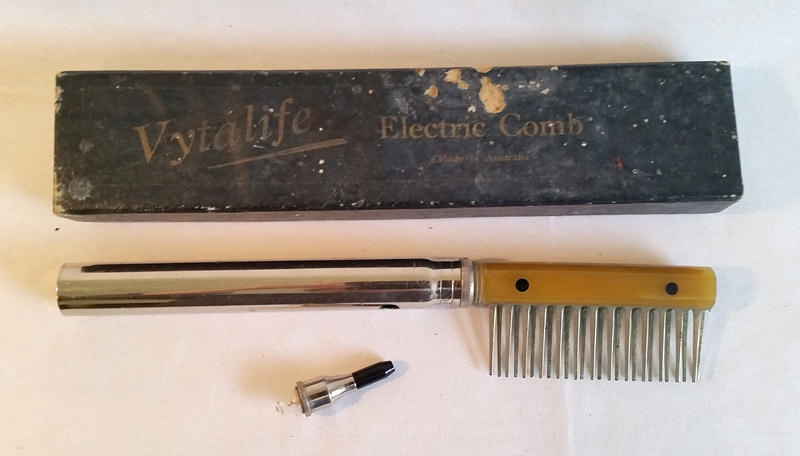 The comb has VYTALIFE ELECTRIC COMB on the back of the comb head.